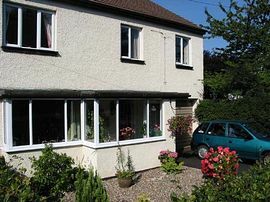 Aulden Bed and Breakfast is situated in the quiet outskirts of the village of Warkworth, on the north east coast of England. We have been providing a warm and friendly welcome to guests for many years. Here you can find peace from the hustle and bustle of daily life, in surroundings that allow you to relax and unwind. We want our guests to get the best from their stay, and are happy to help with local knowledge, things to do and places to see. Guests can enjoy a beautiful walk along the river bank to the village and castle, where you will find shops, restaurants and pubs and for the more active, a lovely walk on the golden sandy beach, with views to Coquet Island. £28.00 per person , breakfast included, for one night. (based on two sharing). £27.00 per person, including breakfast, for two or more nights. (based on two sharing). Single occupancy: £42.00 including breakfast - one night. £40.00 including breakfast - two or more nights. Warkworth is 7 miles off the A1 and 8 miles south east of Alnwick on the A1068. Alden is half a mile from the village centre.